The U.S.-South Korean military exercises now taking place in the sea around South Korea may constitute a case of the United States playing with matches in a gunpowder factory. The gunpowder factory is East Asia. The sea is the Sea of Japan, which borders on North Korea, South Korea and Japan. The exercise involves 20 ships, 8,000 U.S. troops and 200 aircraft. It originally was to include the Yellow Sea, which China considers its own military operations zone, but the United States backed off that. The basic idea is to make a show of force to pressure the North Koreans to drop their nuclear weapons program and rejoin the suspended six-party talks, which include China, Japan, North Korea, Russia, South Korea and the United States. The talks are designed also to get North Korea to forgo nuclear weapons as part of a general normalization of relations with East Asia and the rest of the world. The logic of pushing a country like North Korea toward negotiations by conducting nearby military exercises — which include one of the largest aircraft carriers in the U.S. Navy, the nuclear-powered Abraham Lincoln — is not entirely clear to me. North Korea is in the throes of one of its worst economic crises in decades. A significant percentage of its population is reportedly in danger of starvation. It is engaging in what — even for it — are considered to be desperate measures, such as abruptly changing its currency. On top of that, there is apparently — I say, apparently, because it is always hard to tell what is going on in North Korea — a succession process under way. The country’s bizarre leader, Kim Jong Il, is reportedly in ill health and the shoats are tussling under the blanket in terms of who might emerge on top if he dies or is forced out of power. It could be the military, or it could be third son Kim Jong Un. Who knows? But does it make sense to rattle Pyongyang’s cage with a huge U.S.-South Korean military demonstration, the largest in 34 years, at just the moment when the convergence of economic, political and military forces in the country makes the North Koreans as nervous as a fly with someone with a swatter advancing on it? I don’t see it. The other North Korean alleged sin for which the military exercise is meant as retribution is the tragic sinking of the South Korean naval ship Cheonan, with a loss of 46, in March. The South Koreans claim the North Koreans did it, citing an investigation. The North Koreans deny responsibility. The problem with the investigation is that it was carried out largely by the South Koreans, with Americans and allies looking over their shoulder. If the South Koreans had taken their time and used their improved relationship with the Chinese to pull them into the investigation, then its results would have had more credibility. As it is, it is possible that the North Koreans really did do it, but there is some doubt about it. It is considered still possible that the Cheonan was sunk by an old mine floating around in the seas where it went down. Then there are the Chinese. China has in recent years strengthened its Navy, consistent with its desire to broaden its global influence, particularly as a regional power in Southeast and East Asia. At the same time, its capacity in that regard is a tiny fraction of the capacity of the U.S. Navy. The Chinese Navy’s enhanced capabilities and ambitions do not mean that the seas near China have stopped being international waters, where U.S. warships have a clear right to go. But at the moment, U.S.-Chinese military communications and relations are not at their best and China has shielded North Korea in international forums when the United States and the West have taken aim at it. In normal times, a U.S. military exercise near South Korea would be “coordinated” in back channels with the Chinese. Was it this time? 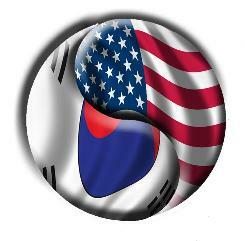 The United States did back off exercising in the Yellow Sea between the Koreas and China. There was considerable advance public talk of the exercises. Was that coordination? Or is there still danger of misunderstanding? We shall see. Secretary of State Hillary Clinton’s recent visit to South Korea, which included some fairly militant statements and a visit to the Korean War truce line, may have helped her politically but probably didn’t help the rest of us much in terms of the U.S. posture in the world. Incidentally, the photos of her with a North Korean soldier peering at her through a window at Panmunjom were misleading. There are always North Korean soldiers there scowling at visitors. They watched me when I visited in 1999. Finally, one has to think of the U.S. military aspect of what is going on. It is budget time for the Department of Defense. There will be a lot of pushing and pulling inside the Pentagon to see which service gets what on its wish-list and what cuts Defense Secretary Robert Gates and President Barack Obama may have in mind for the different services. The Navy has been a bit out of the game in both Iraq and Afghanistan, so one has to wonder about the Korean exercise in terms of attracting attention to its needs and desires at a strategic moment. What is clear is that the United States doesn’t need an incident or a war in East Asia. Our forces, except perhaps the Navy, are fully committed in Iraq and Afghanistan and have been so for years now. Domestic priorities — resuscitating the economy, health care, infrastructure, education, Social Security, Medicare and the like — call loudly. Our wars are being fought on credit in any case. In terms of foreign policy, the United States should be concentrating instead on negotiating peace — in the Middle East, in South Asia and in East Asia — not sticking our fingers in North Korea’s or China’s eyes with big military exercises off their coasts.